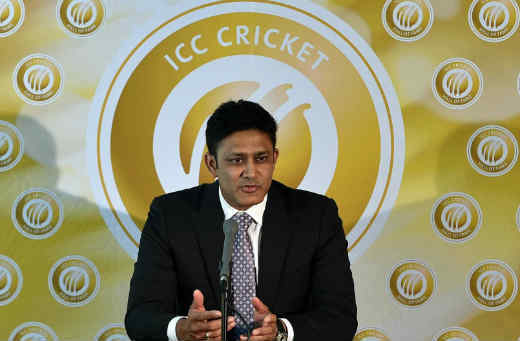 Anil Kumble – the magician of spin, is born with Scorpio Ascendant, with the placement of Venus – the planet of charm and grace in the Ascendant. Moreover, the Lord of the House of fortune and destiny – the Moon, is placed in the 7th House, that too, in its Sign of exaltation. Ganesha gives great importance to this placement in Kumble's chart, as it makes him a man with unique charisma and a pleasing personality. Many people commend Kumble for his ability to win matches and the incredible knack to create winning situations out of positions of certain defeat. This phenomenal aspect of Kumble's gaming can be attributed to the placement of the Sun, Mars and exalted Mercury in the 11th House of his Chart. Due to this formidable combination in the 11th House, Kumble always enjoyed a great stature as a sports person, and excelled even in his capacity as the captain of the team. The very same combination gives him great caliber as an engineer and has blessed him with great success in his professional life, off the field. Jumbo – the next Coach of Team India: Will he be able to weave his magic on the 'Men in Blue'? Ganesha notes that Anil Kumble will be the man India will cherish a few months down the line. Why's that so, you may ask! But, the agents of God – the 9 Planets have the answer! Post 11th August, 2016, Jupiter, the planet of fortune, expansion and optimism will begin its transit in the Sign of Virgo, wherein the powerful triumvirate of Mars, Sun and Mercury are present. This transit will set the stage for a spectacular show of motivational leadership by Jumbo. Being true to his inherent nature, Kumble may opt for a structural revival of the team. Instead of a tilted approach, Kumble is most likely to nurture a culture of 'opportunity for pure talent'. The period from 24th October, 2016, to 23rd February, 2017, will be a very eventful period for Anil and we can expect some wonderful feats from him in this duration. But, some of his decisions may raise some eyebrows, as Rahu and Ketu are transiting through the 10th House – 4th House axis. Due to this transit, there may also be some misunderstandings with the management and the board members, feels Ganesha. By April 2017, India may go on to become a very prominent team in World Cricket once again and the rankings of various players may rise drastically, under the able leadership of Anil Kumble, concludes Ganesha, on a vehemently positive tone.